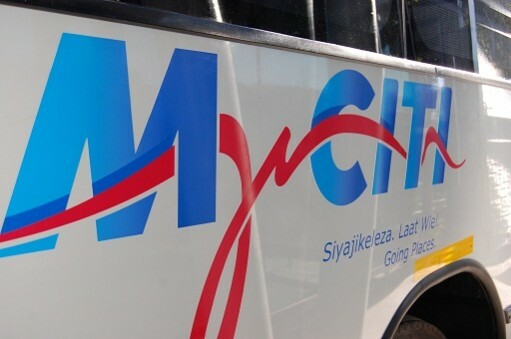 Recently taxi drivers on the west coast route were earning about R2 000 a week but are now taking home less than R600 a week due to loss of business with the competing MyCiTi bus route which has been extended from Table View to Atlantis. This has renewed tensions between the City and taxi owners affiliated to the Atlantis’s Blaauwberg Taxi Association (BTA). The BTA is now calling for the City to withdraw the remaining 38 taxi vans in operation along the R27 route and compensate them to enable them remunerat their taxi drivers. The drivers would also be able to be trained as bus drivers to operate MyCiTi buses under the established MyCiTi bus Vehicle Operating Company (VOC) Kidrogen formed by taxi associations affected by the roll out and implementation of the bus service along the west coast corridor. “The drivers are suffering (from the implementation of MyCiTi). They are not making enough money to get their usual commission,” said BTA chairperson and Kidrogen operations director Chrisy Prins. Prins said the City had informed them they did not have enough buses to roll out in the area to allow complete withdrawal of the remaining taxis. However, Prins said this should not be the association’s problem. Taxi drivers are upset with the taxi owners about the decreased remuneration, and “we dont have answers for them”, said Prins. “If they don’t withdraw our taxi’s we will park them at the Civic Centre,” he said. He said the MyCiTi buses operating in the area had taken most of their customers, with the result that they were almost operating at a loss. “Taxi bosses are fed up. Drivers are fed up. MyCiTi took over all our jobs,” he said. But the City mayco member for transport, Brett Herron, says the taxi owners will just have to wait until all the feeder routes in Atlantis are operational before compensation is paid out.